Get ready for war on a scale you’ve never seen before! We’ve already had 15 fabulous years of Total War, but Total War: Warhammer is going to be even more amazing. The highly acclaimed creators of the Total War series, Creative Assembly, have gone into partnership with Warhammer’s Games Workshop. Together, they’ll use IP from the acclaimed Warhammer® Fantasy Battle tabletop wargame and accompanying range of miniatures to make fantasy war on an epic scale. In my opinion, Creative Assembly are the perfect guys to make Warhammer. The fidelity and awesome details of Total War’s battles have just been getting better and better. They’ve kept going the extra mile to make gameplay more realistic – for Rome 2 they even built a huge motion capture studio to make character movements more realistic. Epic, superbly detailed battles are at the heart of Warhammer, so Creative Assembly will bring to bear all their expertise and technology know-how from earlier Total War games to make this immersive and absorbing beyond your wildest dreams. It was a happy day for the world when the Total War: Warhammer official cinematic trailer came out. 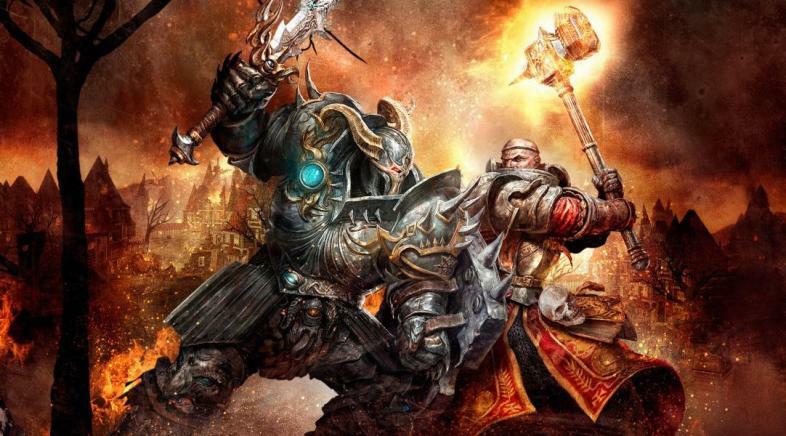 Give us the Total War: Warhammer release date already! Rumours are flying everywhere about the Total War: Warhammer release date, but there’s no official word on it yet. The latest we’ve heard at GamersDecide is that it will be out in Fall 2015, so that means sometime around October/November 2015. Everyone knows what they want to see and some have gone into it in depth. Excessive depth you say? A little too much thinking? I say no amount of thinking about Warhammer is too much! So much speculation but no knowledge! If you've got a scoop, please let us know. Frustratingly, there is hardly any info about gameplay out yet. A leak in January from a book “The Art of Total War” revealed that Warhammer would be part of the Total War series, then in April the cimenatic trailer was released. You can see that this is going to be epic, but the trailer doesn’t give many hints as to gameplay. What it does hint at is that there will be aerial combat – this could change the way sieges happen. GeekEnglish was the only one with any gameplay videos. We do know that Total War: Warhammer keeps what we love best about the Total War series. There will still be turn-based sandbox campaigns, there will still be real time battles. It’s still, as they put it “a unique combination of huge-scale real-time battles and an addictive turn-based campaign game of statecraft, politics and empire building. There are a massive amount of factions and races in the Warhammer Fantasy Battle universe, but rumour has it that Total War: Warhammer will focus on the human armies of Karl Franz, the dwarven warriors of High King Thorgrim Grudgebearer, the greenskin hordes of Grimgor Ironhide, the undead legions of Mannfred von Carstein. One thing we know for sure is that there won’t be any Space Marines! In Total War we’ll get to do new things that we’ve never done before. There will be a lot more character variation, some RPG elements, and also exploration of actual cities throughout the empire. Sure, I’ll miss History, but Total War sounds like it’s got some serious meat on it. If you’re interested in Warhammer you need to dive into the lore. Arch Warhammer is an acknowledged YouTube expert to check out. To get first news of the Total War: Warhammer release date, we recommend you sign up to the Total War page on Facebook and Twitter. You can also subscribe to Total War’s Youtube Channel for future news about gameplay videos. This is only the first in a trilogy, so hang onto your hats!